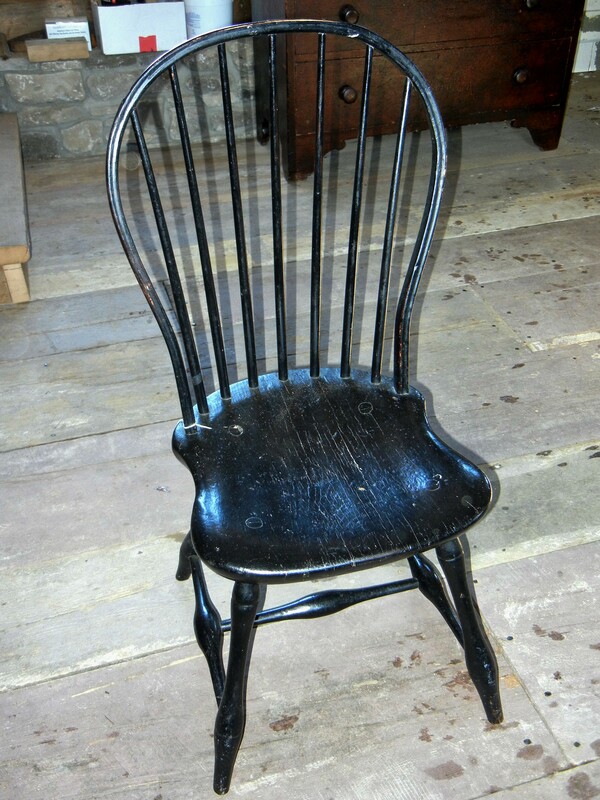 Bow-back Windsor Side Chair in original black paint. The seat is stamped 'TE' underneath. 7 spindles; found in Vermont. No repairs.